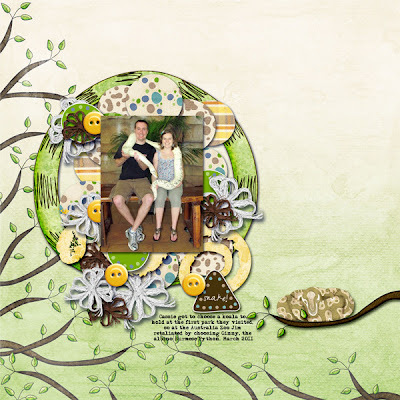 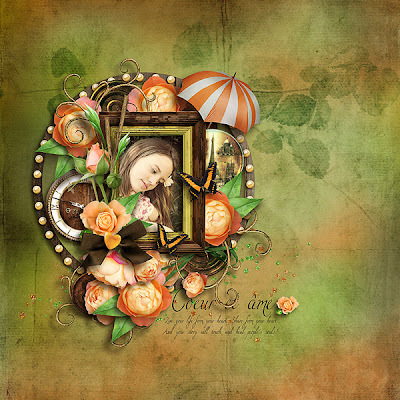 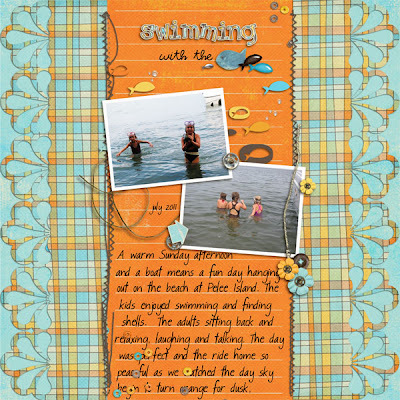 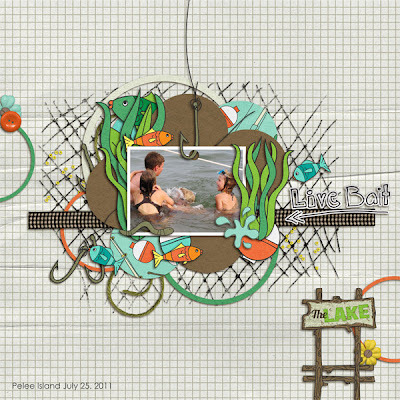 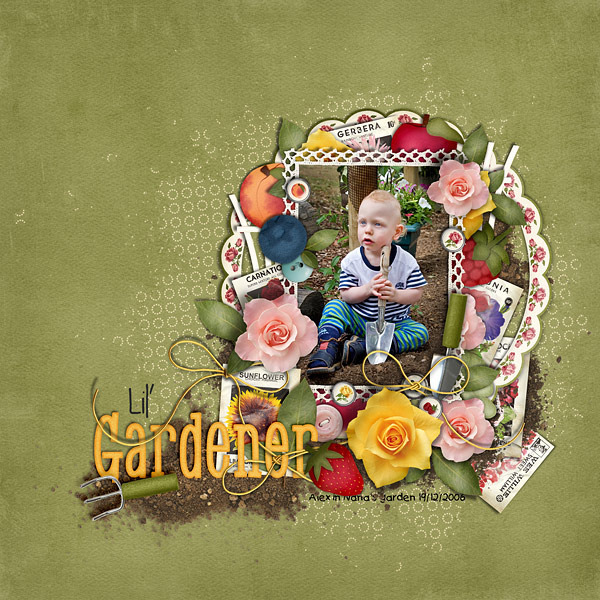 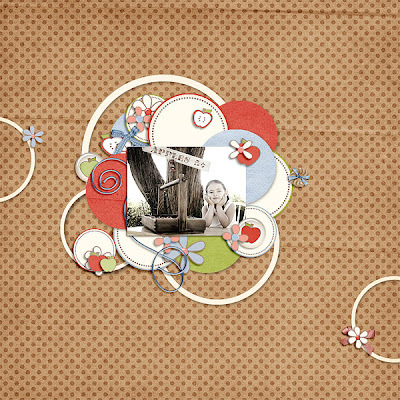 Fuss Free: Pennies From Heaven is a scrapbooking treasure, featuring loads of circular paper shapes (or "pennies") topped with extravagant layers of elements. 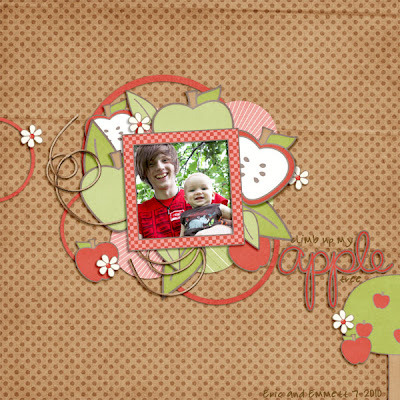 Enjoy 20% off this Fresh Fruit item! 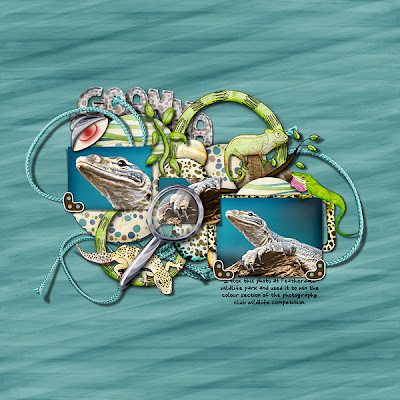 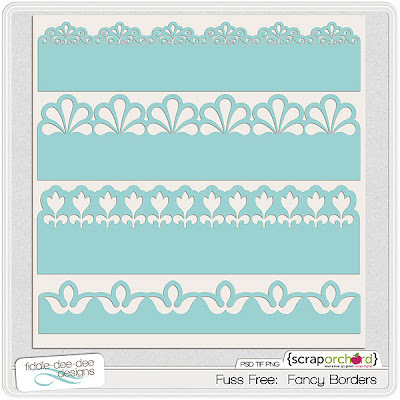 Also new this week is another set of borders ~ Fuss Free: Fancy Borders. 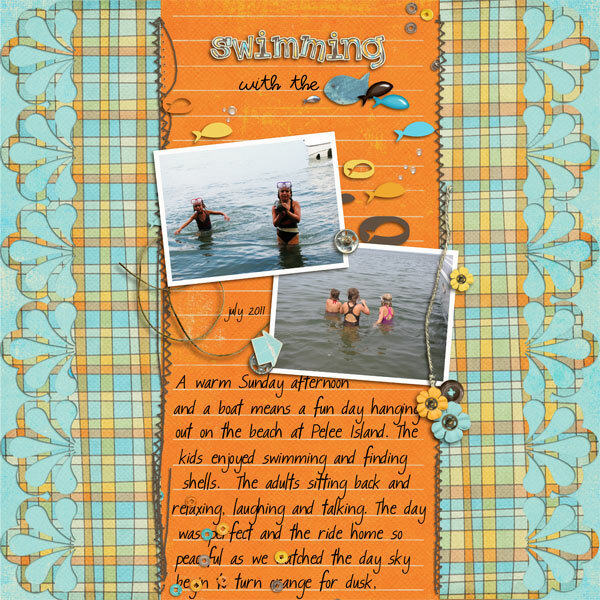 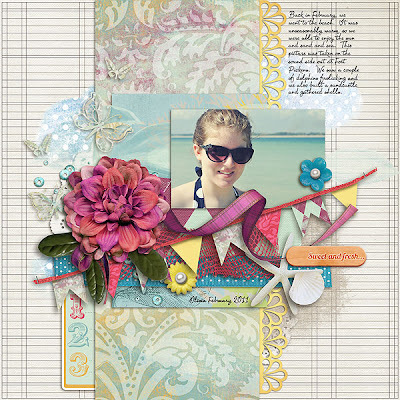 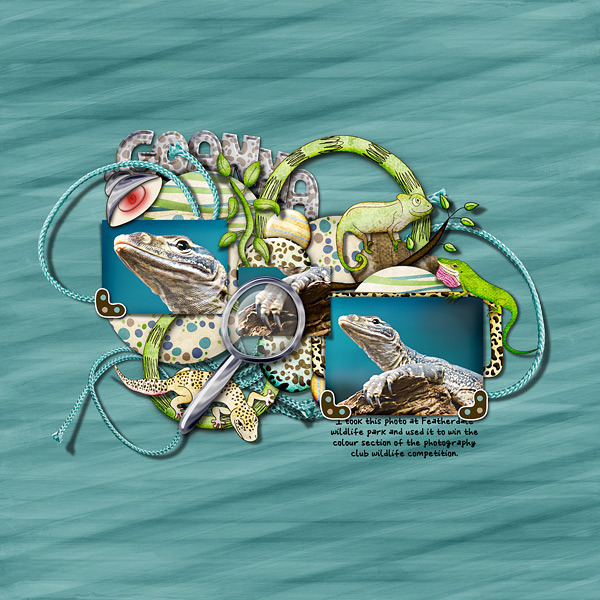 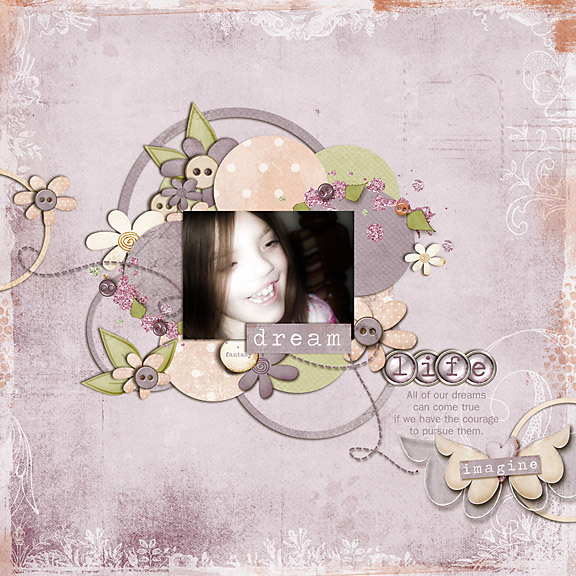 These detailed borders are a perfect beginning for any layout. 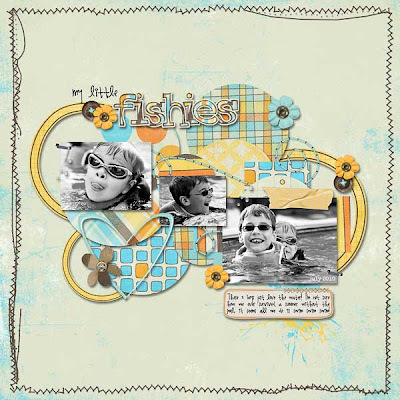 Designed to appear as if they have been hand punched, these borders showcase papers beautifully without overwhelming your page design. Use them singly or in pairs, or stack all of them on your layout. 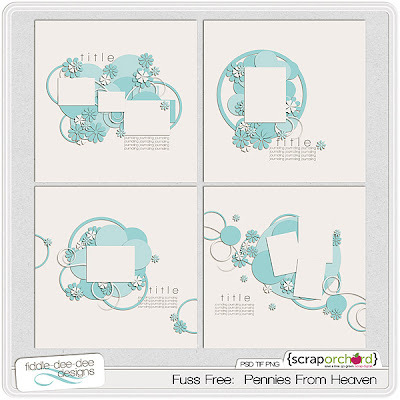 Rotate or flip the strips and you have endless design possibilities! 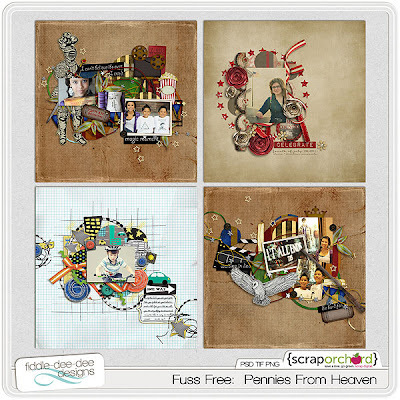 You can enjoy 20% off your purchase of Fuss Free: Fancy Borders as a Fresh Fruit item BUT if you purchase Fuss Free: Pennies From Heaven, you get Fuss Free: Fancy Borders for FREE!